Hey friends! 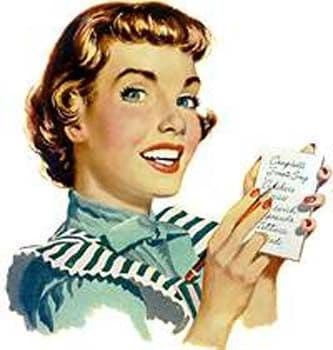 Aunt Ruthie is back today with another post that brings fresh air and love into our homes! I know you love Aunt Ruthie as much as I do and it is such a treat to have her visit with us. Howdy Neighbor! 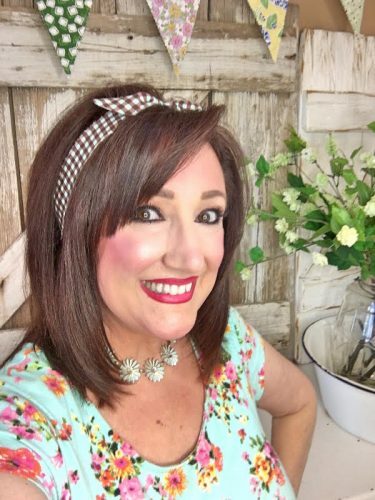 Aunt Ruthie here from Sugar Pie Farmhouse, stopping by with another little tip to bring beauty and joy into your Home, Sweet, Home! I’m so thankful that my Soul-Sister Christy invites me over here every month to her Southern Plate to share decorating ideas with y’all! Well, have you ever been in a situation at home where you can’t find a pen but you need one real quick? 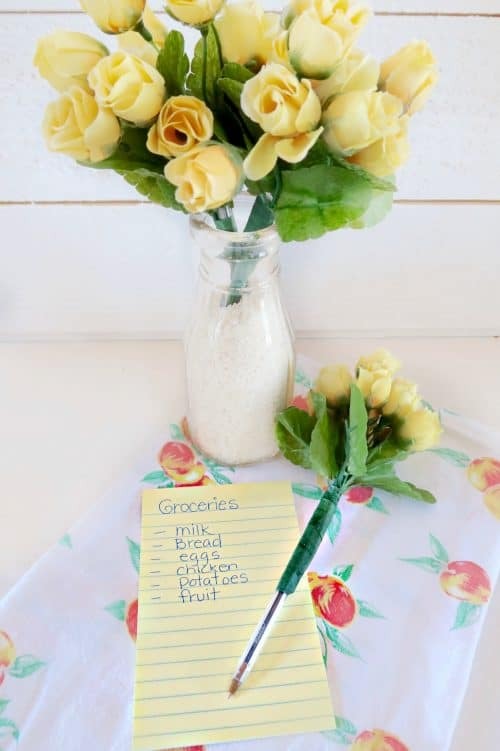 Maybe you want to write down a recipe you heard on T.V. or make a quick note about something so you won’t forget or write a phone number down. It can be frustrating because know you must have a hundred pens in your house but you can’t find even one? Lol! Here’s an easy way to ensure you will be able to find a pen when you need it! You’ll need: Three or more stems of flowers. I chose a few bunches of roses but I think gerber daisies would be adorable too! Make sure they are lightweight. 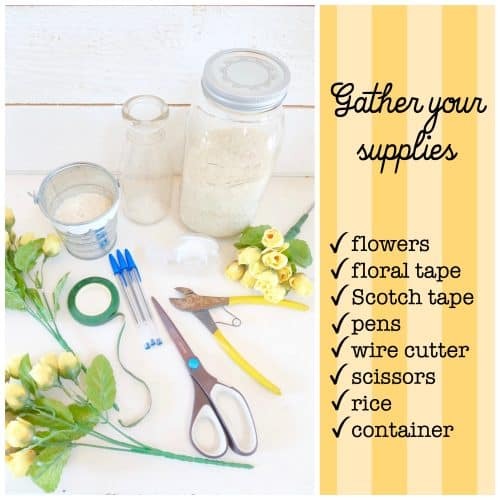 You’ll also need floral tape (you can get it a Michael’s Craft Store), Scotch tape, 3 pens, wire cutter, scissors, rice (this is to support the pens in your container) and a cute container to put the pretty little flower-pens in. 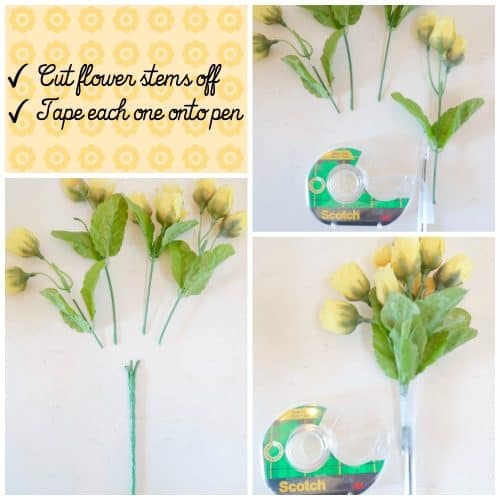 If you buy a bunch of flowers cut the tiny stems off of the main stem and then tape each tiny stem, one by one, to the pen with Scotch tape. 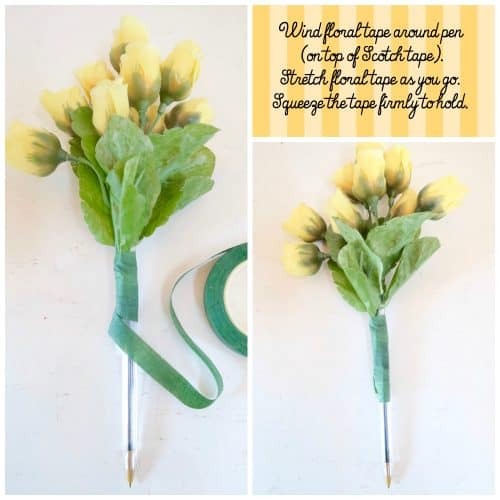 Then wind the floral tape around the pen over the Scotch tape stretching the tape as you go. Stretching floral tape activates the stickiness so it will hold. You can stop about 1 1/2 inches above the tip of the pen. Cut or tear off the excess. Then squeeze the tape firmly around the pen to help it hold tight. 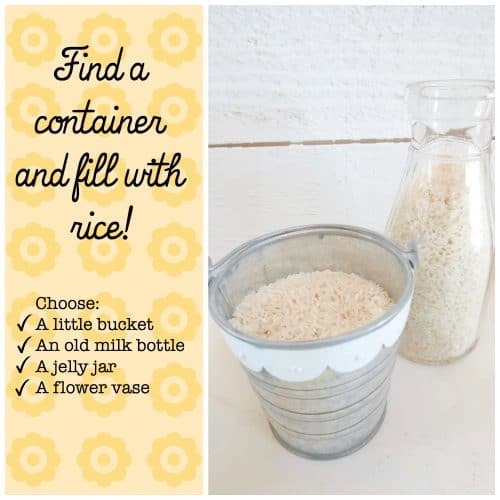 Find a cute container for your flower-pens. Fill it with rice so the pens can stand up straight. Using the rice is optional of course. That’s it! So easy, peasy! I can almost guarantee that your teenage son and husband will not walk off with your pretty little flower-pens! Lol! If you have little girls then you might want to make them a set of their own! 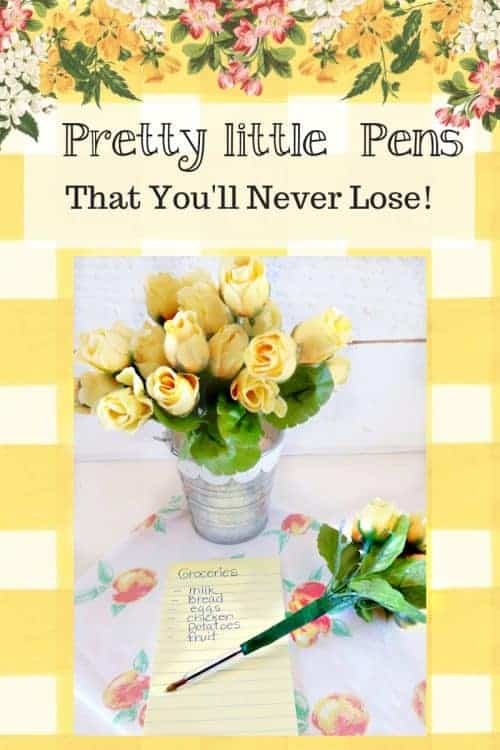 These are Pretty Little Pens that you’ll never lose! I hope today is a blessing for you! If you ever get a chance come on by to Sugar Pie Farmhouse and say howdy! Click here to see more of Aunt Ruthie’s Posts on SouthernPlate!